Edward Achorn, a Pulitzer Prize finalist for distinguished commentary, is the deputy editorial pages editor of the Providence Journal. Beautifully written and impeccably researched, Pure Grit is the best book out there on 19th-century baseball. 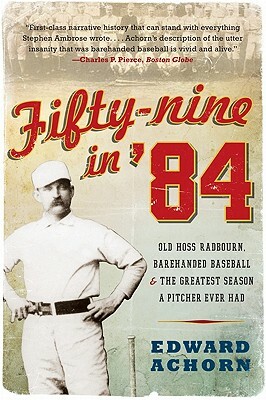 Old Hoss Radbourn would be pleased that he is finally getting his due—and angry that it took so long.